Chris Marks and his Three Little Pigs barbecue team are one of the top teams in competition barbecue (8 time grand champion of the American Royal BBQ Competition). 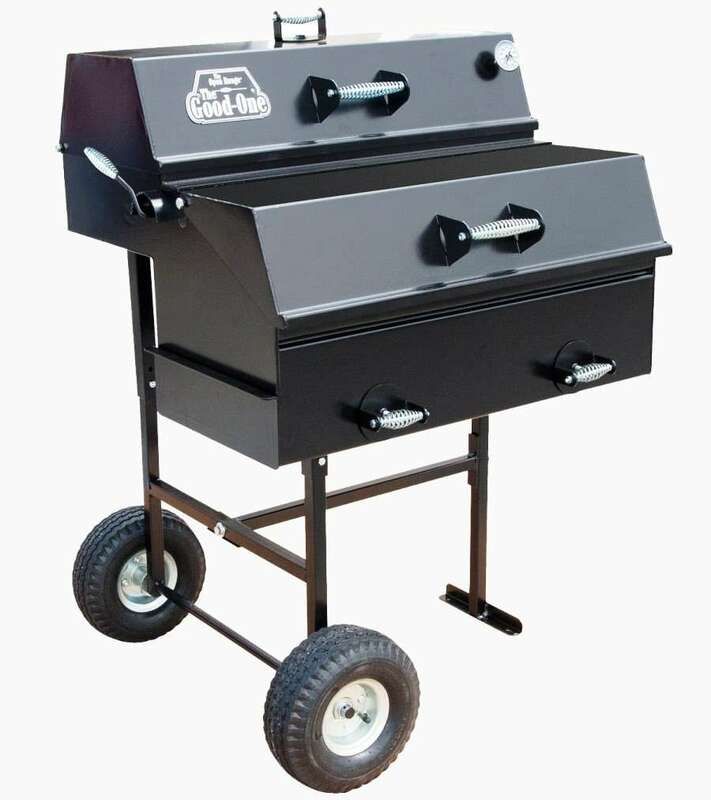 The Good One Open Range smoker is the smallest version of the smoker Chris takes to competitions. 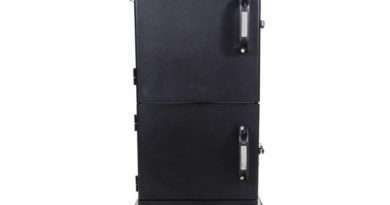 What makes this smoker different than other big, black smokers is the precision of air flow control. The Good One uses rotating vents called spinners that can be adjusted with a very fine degree of control. Recently this smoker line has changed manufacturer (with Chris Marks still attached) and there have been a number of improvements. The paint is a higher quality powder coating for better durability and appearance. The slid out ash pan has been replaced with a drop in design to reduce the external openings and improve the airflow even more. 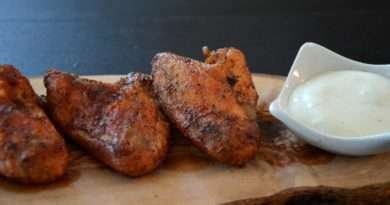 With many heavy steel smokers, you get a great deal of smoke, leakage around the doors and connections. 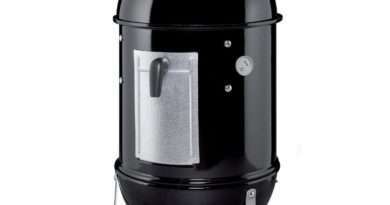 This smoker fits together with incredible accuracy so the air flows through the vents and not through the doors. Add to that the precision of the vents that can shut this smoker down, put out the fire, and save the remaining charcoal for the next cook. 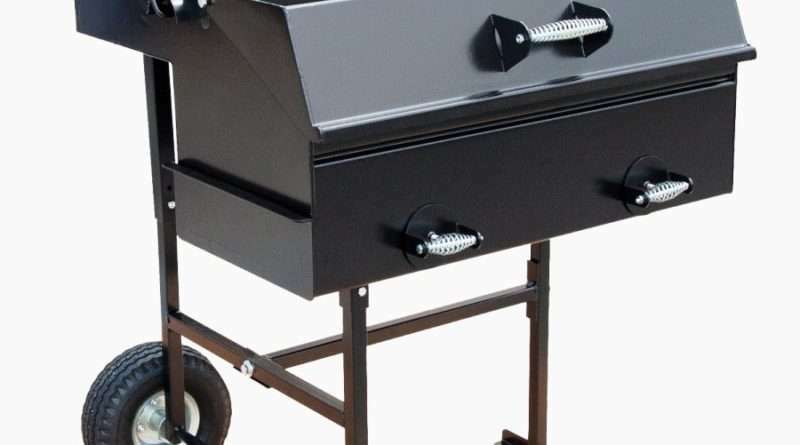 The nearly $1,100 price tag makes this an expensive smoker, but the durable construction, excellent cooking abilities, and efficient design make it a perfect smoker for the person who is serious about barbecue. 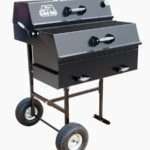 But more than just a great smoker, this unit is amazingly versatile. 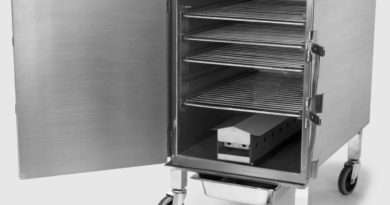 You can use the firebox area for direct grilling of the smoking chamber as a roasting or baking oven. This is one cooker that really can do it all.